The University Wind Ensemble is offered for the study and practice of traditional and contemporary wind band repertoire. The Wind Ensembles long history at Cal dates back to before the 1930s, when the group was directed by Charles Cushing. In 1950, James Berdahl assumed the directorship and remained until the late 1970s. The Wind Ensembles activities were revived when Robert Calonico (also Director of UC Bands) took over as director in 1995. 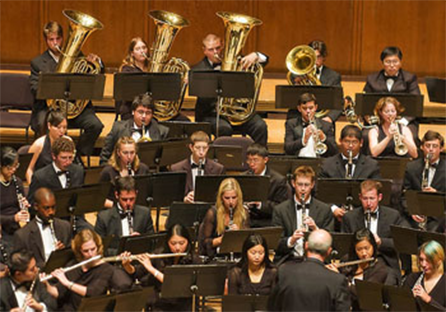 The Wind Ensemble performs regularly, including once per semester in Hertz Hall.